Gahye Song is an adjunct lecturer in Korean. 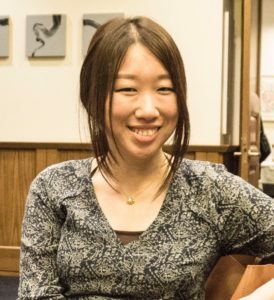 In addition to teaching Korean, she has taught English as a foreign/second language and academic writing. She is currently finishing her doctoral dissertation on person references in natural Korean conversation. Her dissertation investigates the patterned ways through which various referring expressions are used as Korean speakers organize social interaction and perform social actions through talk. Waring, H. & Song, G. (2018). Advice in Education. In E. MacGeorge & L. M. Van Swol (Eds. ), The Oxford Handbook of Advice (pp. 216-235). Oxford: Oxford University Press.